During the first 15 minutes of class your swimmers simulate falling into the water fully clothed. 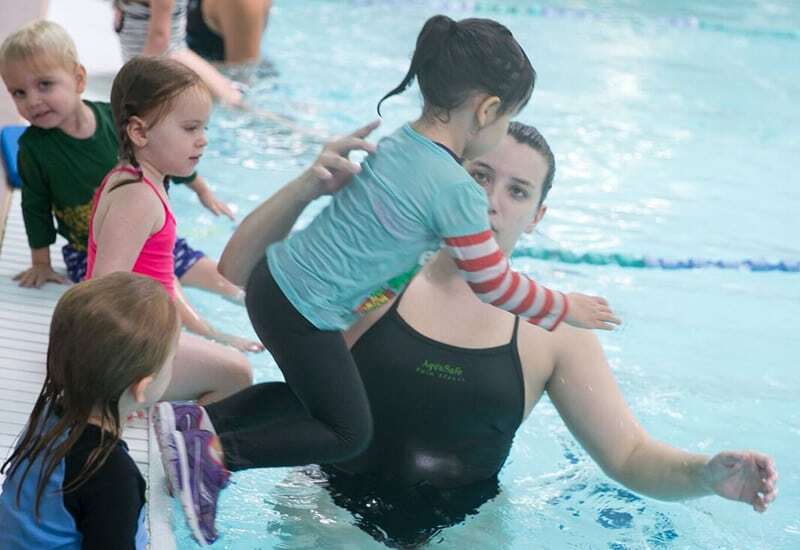 Your swimmer will practice swimming back to the wall, rolling over & calling out for help, and other safety skills, in a controlled class environment, better preparing them in the event they were to accidentally fall into water. Instructors will also lead your swimmer in a water safety talk. Please bring your swimmer in their bathing suit and OVER their suit: pants, long sleeves, and shoes that can get wet.